Varsity defeats Clayton. Photos courtesy of Dave Mack. Varsity soccer defeated Clayton on the road by a score of 3-0 last Tuesday. Villa received two goals from Katie Rodrigues and one from Sophia Schlattman. Ally Bowers recorded two assists and Taryn Tkachuk was credited with one as well. Emma St. John earned the shutout in goal. The team also earned their first home victory of the year with a 2-0 win over MICDS. Lizzie Barlow scored early in the second half and Emily Knopf scored shortly thereafter to lead Villa to the win. Milam Anthon and Ally Bowers added assists for the Saints, and Emma St. John was credited with her second straight shutout. Varsity soccer wins Southwest Showdown. Photo courtesy of Ally Bowers. Varsity soccer traveled to Springfield, Missouri, for the Southwest Showdown and claimed a 4-1 victory over 7th-ranked Lutheran-St. Charles in the first round. Katie Rodrigues scored two goals. Taryn Tkachuk and Nancy Metz also scored for Villa. Sophia Schlattman recorded two assists while Allison Smith and Ally Bowers added one each. On Saturday, the Saints won the Southwest Showdown. After Friday's victory over Lutheran-St. Charles, Villa defeated Lebanon 3-0 and followed it with another 3-0 win over tournament host Springfield Parkview. Emma St. John recorded both shutouts in goal. Saturday's scorers included Ally Bowers, Katie Rodrigues, and Allison Smith with two goals each. JV soccer had a fantastic week, adding two wins to their record. Defensive center-midfielder Sarah Hanley scored her first high school goal against Clayton last Tuesday off a beautiful corner kick. Goalkeeper Izzy Kohlberg tried her hand at the forward position and added to the Saints' lead, making it 2-0 in the second half. Goalkeeper Clare Andres made a phenomenal save in the second half to maintain the shutout. 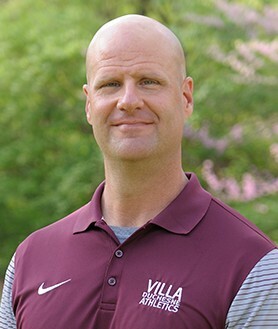 Villa emerged victorious over the Clayton Greyhounds marking their first victory of the 2019 season. The JV team returned home on Wednesday to face the MICDS Rams. Sarah Hanley struck first once again to make the score 1-0 in the second half and opened the flood gates. Grace Oexeman, Julia Schmidt, and Mary Kate Stephens all boosted the team to add to the final 4-0 score. Elle Reardon, right back, had an astonishing three assists in one match. Izzy Kohlberg played both halves between the posts and earned her second shutout of the year with the JV team. Varsity lacrosse had a solid second week of games and went 1-1 against Marquette and Westminster. The girls put up a hard fight against Marquette, but fell short losing 11-14. However, they bounced back against Westminster and won 14-11. Their current record is 2-2, and they look forward to making it 4-2 after this week's games against Parkway West and St. Joe. Ellie Marshall leads the team with 23 goals and nine assists while Maria Adamitis is not far behind with 13 goals and 13 assists. Go Saints! JV lacrosse lost 8-4 against Marquette last Tuesday, but followed that with a 10-8 win over Westminster on Thursday. The team is working hard each day, and it's showing on the field. Track and Field team takes a midday break at the All Catholic Meet. Track and Field participated in the All Catholic Meet on Saturday. It was a beautiful day and everyone performed great for their first meet. The team had several personal best marks, which is great this early in the season. Our 4x200m relay placed 9th, Denae Clayton placed 9th in the shot put, and MacKenzie Robinson tied for 7th in the high jump. A physical completed on or after February 1, 2019, is required for the 2019-2020 school year for all high school students. To guarantee that the physical meets the MSHSAA requirements, please use either the MSHSAA or Magnus physical forms. All other physicals will be approved or rejected based on the MSHSAA requirements. Each student's medical information should be entered or updated in Magnus by Friday, May 3. Contact School Nurse Sandy Conway at sconway@vdoh.org if you have any questions.